Remarks: Its size, perfect cut, live and strong color make it so unique. 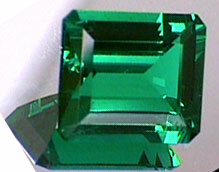 Remarks: You won't find an emerald of this quality anymore. Every detail and feature make this gem exclusive. Remarks: The highest of clarity and color, this extraordinary gem has the very rare privilege of not requiring clarity enhancement. 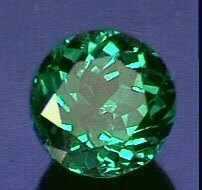 Remarks: The best clarity you can find in a Colombian emerald ever, highly saturated color, sparkle and life. Remarks: A lovely gem that my eyes would like to indulge again. 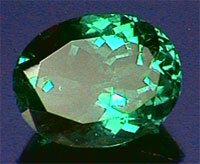 Terrific blueish color, as well the right medium deep dark green. Remarks: The best quality emerald I have see in my entire life - the cut, sparkle, all its beauty is intense, terrific and emerald green. The picture is about 8 years ago, with a very old per pixel tecnology. Remarks: The best color and clarity you will find in Cabuchons ever. Deep medium green with the old Muzo color. 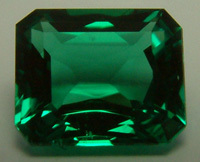 Remarks: Absolutely perfect Trapiches, with the highest quality emerald gem inside, as well defined carbon lines.. 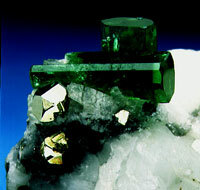 Remarks: The mother and son, a unique double perfect terminated emerald crystal, featured with her son, perfect hexagonal and double terminated. Jeff Scovil one of the best photographers in the world featured this emerald in his advertising. (Lapiz review - Emerald edition). This is what makes the world of the emeralds so attractive. That's not ours but in the hall of the Emerald collections this emerald will be remembered forever! Matrix and crystal, 100% natural from Muzo.